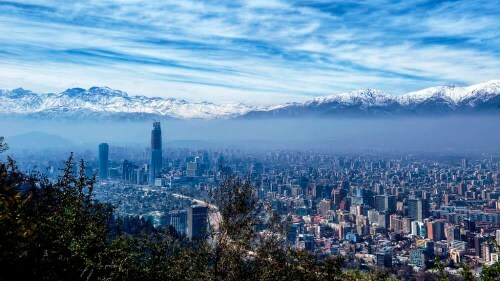 COPA Airlines is showing some flights in their system from Montreal to Santiago, Chile (SCL) for $746 roundtrip including taxes. It's definitely rare to see flights to Chile drop into the $700s. The typical bottom price is in the mid $900s. There looks to be a limited number of date combinations available at this price, between April and August 2015. 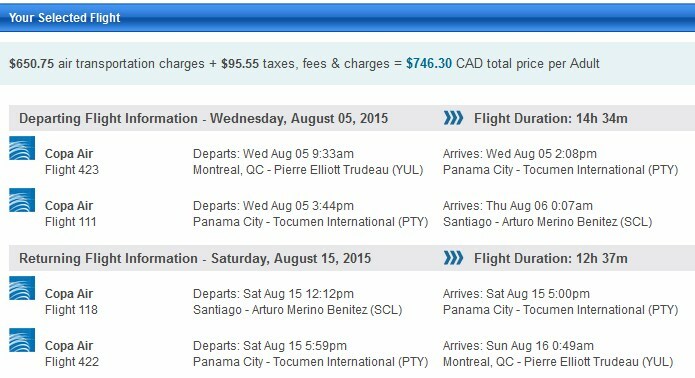 The flights have 1 reasonable stopover in Panama City (PTY) each way. Click through from Kayak to one of their book partners to book. Modify the Kayak search above to discover cheap date combinations in other months. With such limited date combinations, you'll want to stick with a 3 day flexible date search. montreal, yul, flight deals, south america, copa airlines, santiago, chile and scl.